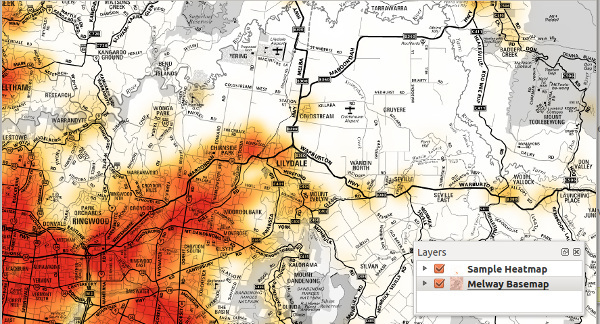 Woohoo… blending modes in QGIS! 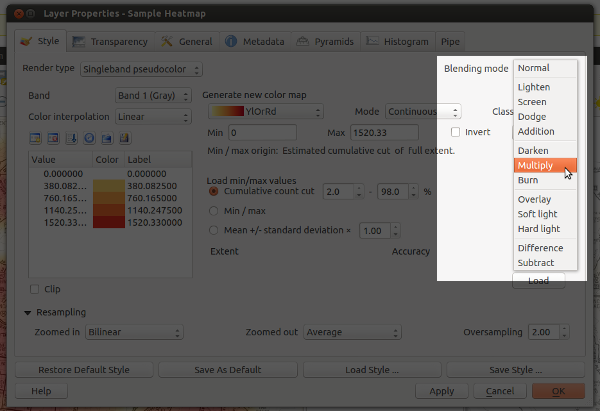 Overlaying rasters with “multiply” blend mode – both layers are shown in their full intensity! Ok… perhaps that’s not the prettiest example, but it is something I have to do a lot in my job. Until now it’s only been possible by exporting the map to GIMP or Photoshop/Illustrator and setting the blend modes there. That’s always fiddly, time consuming and generally frustrating all round. Much easier to just change it with a dropdown within QGIS itself. Let’s move on to some more impressive example. 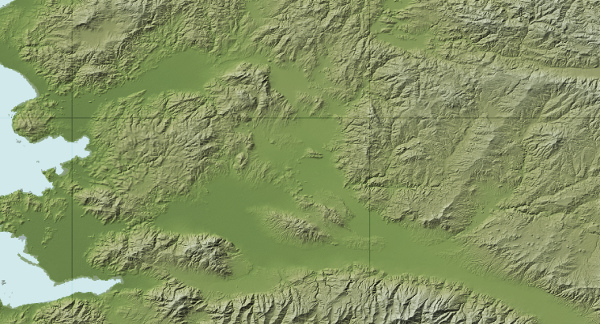 First, here’s a terrain map using a combination of a landcover thematic with ‘overlay’ blending and a hillshade set to ‘multiply‘ blending. The graticule lines are also set to overlay – note how they aren’t visible over the lighter water areas and brighter hillshade regions. Hill shading with advanced compositing… Hal Shelton would be proud! 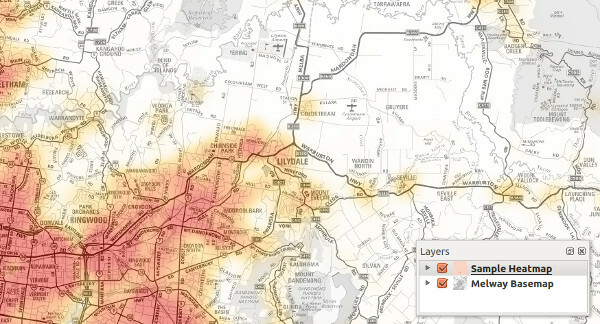 Live Stamen-style watercolors within QGIS – sweet! These a just some rough examples — I’m keen to see what results others get using this feature (feel free to post links to your work in the comments). 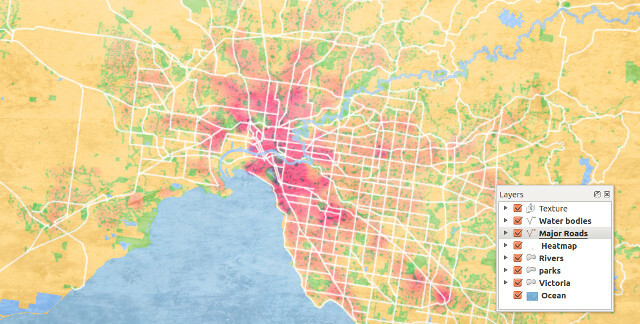 One final note: I’m really appreciative of the efforts of the QGIS dev team, who’ve been really supportive and helpful while I find my way around the QGIS codebase. A big thank you has to go to Nathan Woodrow for taking the time to review this commit and answering all the questions I’ve had!